Each day, when longtime East Multnomah County resident Lee Dayfield walked her dog, she passed a neglected green space off Northeast Glisan Street and 176th Avenue. Two gates prohibited public access to the inner-city forested land and its adjoining meadow. For a nature enthusiast like Dayfield, the eight-foot fence rimmed in barbed wire had no place in a neighborhood brimming with young families. "I remember walking up to that fence and I could see children playing, people gardening," Dayfield recalled. "I could see it as a family place. It needed to be open. You can't have a fence with a door to the forest." When the gate on the north side of the forest was opened in 2001, it set in motion the transformation of a former youth day camp to what is now, Nadaka Nature Park. The process was spearheaded by a woman who can only be described as a cross between the Little Engine that Could and the Pied Piper. Dayfield is a petite, soft-spoken woman, whose eyes light up when she talks about the park she moved heaven and earth to build. Her one-woman campaign to open the area to the community thrust her into a position as poster child for something that was rapidly declining in the city's landscape — public parks. Through a series of public and private partnerships, Dayfield's dream came to fruition on April 4, 2015, when Nadaka Nature Park was formally opened to the public. 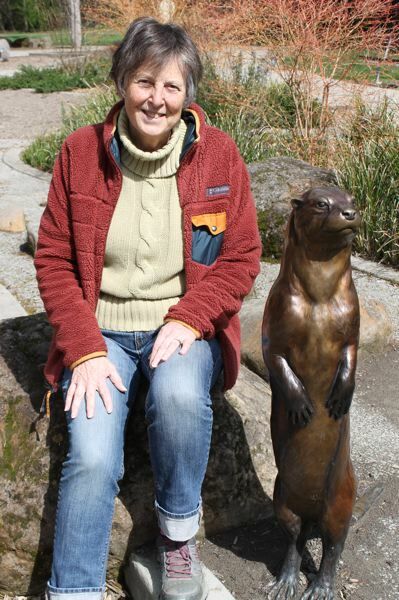 Her vision for nature-based play structures, a community garden, walking paths and picnic facilities had blossomed before her eyes and has since become a gathering point for families, local school children and gardeners. All because one woman, with a passion for nature, refused to be blinded by a forest of bureaucracy. Dayfield, 69, was born and raised in Charleston, W.V. A severe case of wanderlust during her 20s, led her to call several places "home" up and down the East Coast. In 1980, she married Paul and the pair put down roots in Florida. Not long after their marriage, however, Dayfield said she and Paul grew restless and set off on the "trip of a lifetime." "We had an old Ford van. We put a canoe on top, quit our jobs and decided to take a road trip," she said. "We went from Florida to Texas, intending to visit Indian ruins, but just kept going. We visited every state park in the West, drove up through Canada — we went everywhere." The couple motored around the country for five months before finally returning to Florida and settling in Orlando. Following the birth of their son Garrett in 1983, they moved to a small town in Utah to be closer to family. "We thought a small town would be a good place to raise our son," Dayfield said. "But it was different — we missed the ocean and the greenery. 'Small town living' lasted about two years." Their earlier travels around the western part of the U.S. led to an appreciation for forest land, green spaces and especially, protections along the Oregon Coast. So in the mid-1980s, they uprooted and moved to Northeast Portland. Paul founded Mold Testing Services of Oregon, the first company of its kind in the state to test and inspect for mold spores in residential developments. Dayfield took a job with a Portland law firm as a legal secretary, eventually taking on duties as a recruiter for the firm. In the late 1990s, Dayfield and her family moved to East Multnomah County — a stone's throw from the neglected green space that would become her obsession and legacy. Somewhat hidden behind St. Aidan's Episcopal Church on Northeast Glisan Street, the 10-acre forested area and its adjoining two-acre meadow had been home to a day camp owned by Camp Fire Columbia for nearly four decades. Trails through the trees led to clear spaces dotted with tree stumps for sit-upons where campers would learn about nature. Prior to shuttering the camp for financial reasons in the mid-1990s, Camp Fire Columbia barricaded the acreage with an eight-foot chain-link fence, barbed wire and gates on the north and south sides of the property. 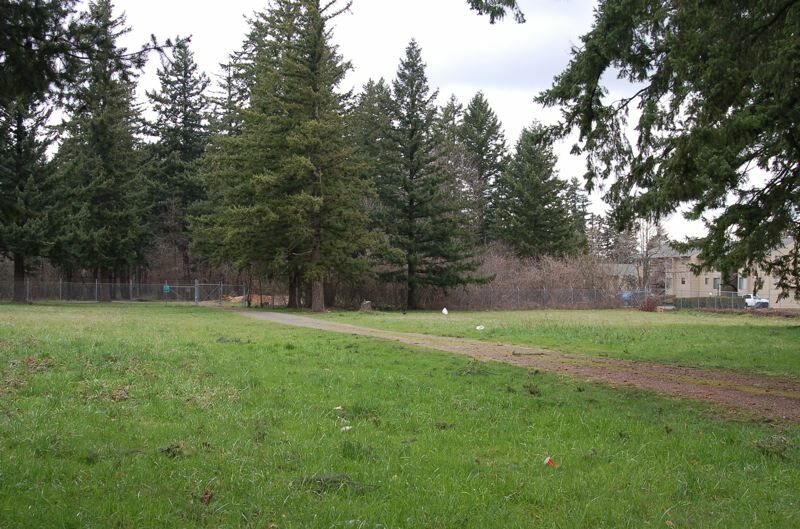 In 1995, the city of Gresham acquired the site with funds from a 1990 parks bond. It wasn't until 2001, however, that the north gate was opened after the city had carved out a quarter-mile loop trail and installed an irrigation line from Northeast Glisan. During this time, Dayfield founded Friends of Nadaka, a grassroots parks organization aligned with the Wilkes East Neighborhood Association. She pined to turn the two-acre meadow at the former day camp into a park. The property, she learned, was owned by the T.A. Nelson Family and was for sale. The asking price was more than $900,000. "I had this great idea for nature-based play areas, a community garden and a picnic shelter," Dayfield said. "But nobody had money to help with the purchase. We invited elected officials, people from Metro — everybody we could think of — to see what the land could be. We were trying to help them see what we saw." Dayfield became acquainted with Jim Labbe, an urban conservationist with the Audubon Society of Portland at the time. Labbe shared Dayfield's vision for the Nadaka site, so when the the real estate market tumbled in 2008, the pair held their breath that the asking price for the property would as well. In 2009, the Friends of Nadaka and the Wilkes East Neighborhood Association, with help from Labbe, successfully obtained a $200,000 capital Metro Nature in Neighborhoods grant to put toward the purchase of the two-acre meadow. The East Multnomah Soil and Water Conservation District contributed another $210,000, while the Trust for Public Land negotiated with the Nelson family, who agreed to donate the remainder of the appraised land value — $185,000. In all, the partnership between the organizations collected $595,000 to buy the land and begin the transformation of Nadaka. Dayfield gets emotional when she recalls the day the fence around the property was dismantled. "It was like a barrier came down," she said. "The area was now open to a whole new community. It looked like a park." Nadaka, Dayfield said, has unified the neighborhood and community. Local childcare facilities populate the play structures on sunny days, students from H.B. 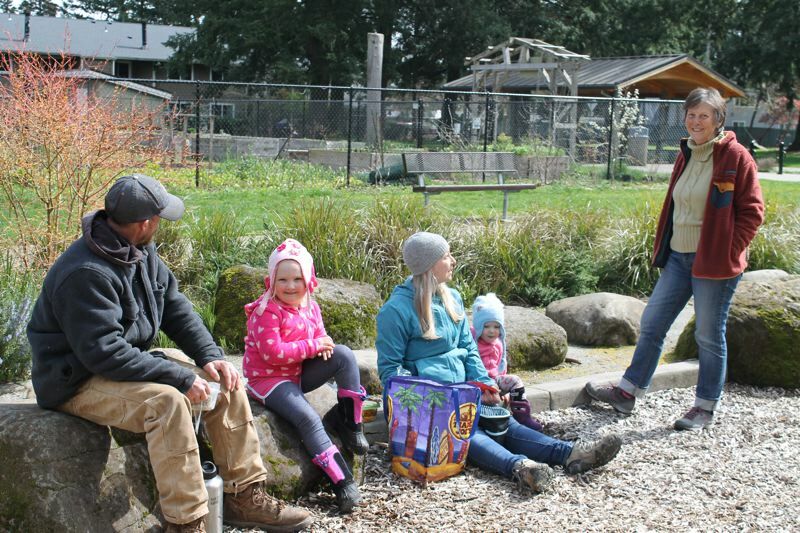 Lee Middle School wander the forest learning about nature, while families hold gatherings in the picnic shelter and fresh foods and flowers sprout from the sizable community garden. 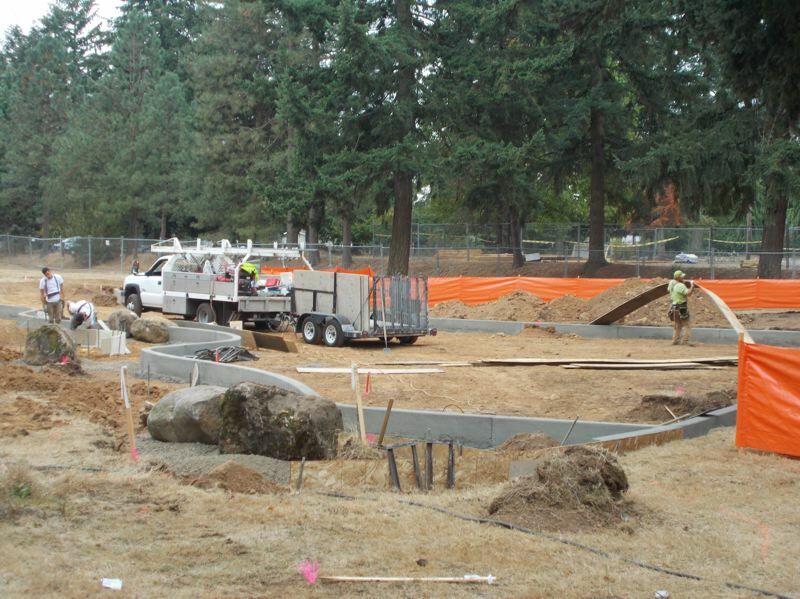 Through the Gresham Outdoor Public Art Committee, two bronze statues have been added to the park, courtesy of Troutdale sculptors Rip and Chad Caswell. "Slider," the otter, and "Seeker," a raven, were named via a contest Dayfield conducted among neighborhood children. 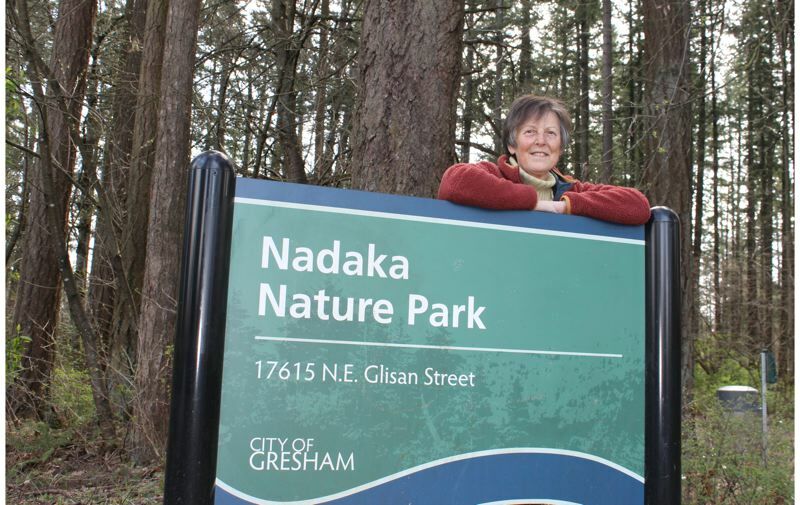 Nadaka is also home to an "Oodle Swing," the first piece of accessible play equipment in the city, which was funded by a grant through Metro and the city of Gresham. "(Nadaka) has become a destination," Dayfield said. "I think there's magic over there from all those Camp Fire Girls! You take someone over to the park and talk about something we need or what we're doing and they want to help. It has to be all those little girls."